Often science and mathematics concepts are taught in a vacuum; the connection to real world applications or the students life is empty. Creating a context for learning is essential to making meaning. This approach answers questions such as "why I am learning this? ", "so what? ", or "how does this connect to my life?". 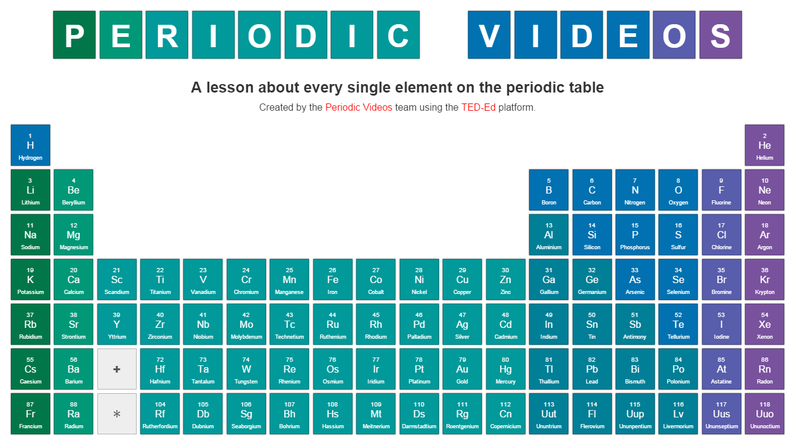 If you are on the hunt for materials to contextualize the learning of the Periodic Table, I recommend checking out TED Ed's newest resource: Periodic Table videos. Each element has a unique video that explains its origins, properties such as color, and most importantly its applications in society (e.g. technologies, experiments, nature, etc. ).